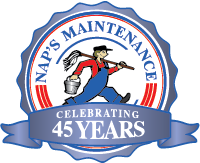 Whether you have an old couch that’s been sitting in storage, a chair that’s seen heavy use in a pet-filled home, or any other household furniture that needs cleaning, Naps Maintenance Service can do the job for you! We have the tools, facilities, and know-how to clean just about any piece of furniture, ranging across many materials like canvas, suede, leather, and everything in between! You can bring your furniture directly to our cleaning facilities or have us pick it up for an extra fee. 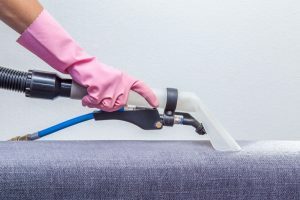 We use advanced steam-based cleaning techniques and powerful detergents to remove pesky stains and discoloration from your upholstery. Not only that, we can also remove bothersome allergens like pet dander and hair, mites, dust, and other debris that lurks deep inside the fabric of your furniture. From pet stains to coffee spills and food residue, we can take care of it all and leave your upholstered furniture looking brand new! Contact us for a quote today. Got a leather couch that needs to be reconditioned? Our leather care specialists are experts at cleaning and fixing up your natural leather furniture. We’ll remove scratches and stains, refinish your furniture, and protect it with advanced sealants to ensure that it resists stains and won’t crack or dry out in the future. If your furniture has been sitting in storage, it’s bound to need a little freshening up. Bring your sofa, chairs, chair pads, and more to Naps Maintenance Service before you move it into its new home, and you can be sure it will be clean for use. In addition to fabric upholstery, we do leather cleaning and reconditioning. Whether you’ve got a piece of leather furniture or an upholstered item that needs to be cleaned, we’d be glad to hear from you! Contact us now. We’d be happy to give you a free quote for your project, and we’ll help you discuss the next best steps! Please note: we do not dry clean.